We are inspired by the excitement and sense of adventure that young girls have! That pure joy you can see on their faces when hosting a tea party, jumping on a trampoline or digging for worms. They experience the world with a fearless imagination and search for new adventures! Jessiegirlclothing reflects that spirit with an enchanting and high quality boutique clothing collection that girls, moms and grandmas will love! Our fun and colorful designs can be worn with boots and sneakers as well as dressed up with tights - perfect for the girl ready to conquer the world! I adore boutique children's clothing! Confession: I have totally fallen in LOVE with the Vintage feel to the new designs from JessieGirl Clothing's all new Spring line! Bright pops of color mix with fun playful patterns to create a truly one of a kind collection....... and some of the most adorable children's fashions I have EVER laid my eyes on! I have been blessed with a little girl that adores dresses and all things frilly, so her unabashed excitement was clear when I pulled the beautiful Fairytale Pinafore dress by JessieGirl Clothing from the package. Because she simply couldn't wait until the Spring temperatures arrived, she has worn it a few times paired with a long sleeve cotton shirt underneath and a little cardigan ( and the compliments that she has received when wearing it have been PLENTIFUL to say the very least!). The beautiful whimsical designs of the JessieGirl 2011 Spring collection truly allow our little girl's to embrace their inner princess! 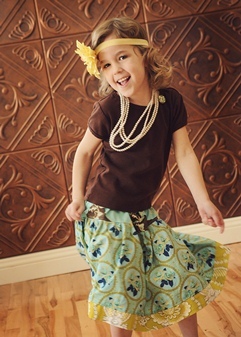 Beautiful & Whimsical Welcome Spring with the Gorgeous Fashions from JessieGirlClothing! One Lucky Reader will receive a one of JessieGirl Clothing's Limited Edition Spring Dresses (Winner's Choice of Dress & Size)! 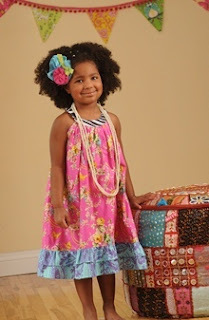 Visit http://www.jessiegirlclothing.com/ and let me know which item you would love to have for your little girl. The comment is considered your entry. ﻿1)Follow me ( or if you follow ) on Twitter http://twitter.com/savvycouponmom (Additional 5 Entries- 5 comments ). Entry to this giveaway ends at 12pm PST May 13 2011. Winner's are chosen randomly through random.org. The winner will be announced in a post within 7 days of the giveaway ending, and contacted through email. The winner will have 48 hrs. to respond or another winner will be chosen. Hey this gorgeous girl could pass any time for my daughter. Following you from MBC. Big hugs when you follow me too. i really like the skirts they design so fun and cute perfect for any girl :) i really like the Bohemian Twirl Skirt so hippie chic!! I entered Skin MD Naturals. i would love the fairytale dress for my niece, so cute!